It’s been a few months now since returning home from India last October. 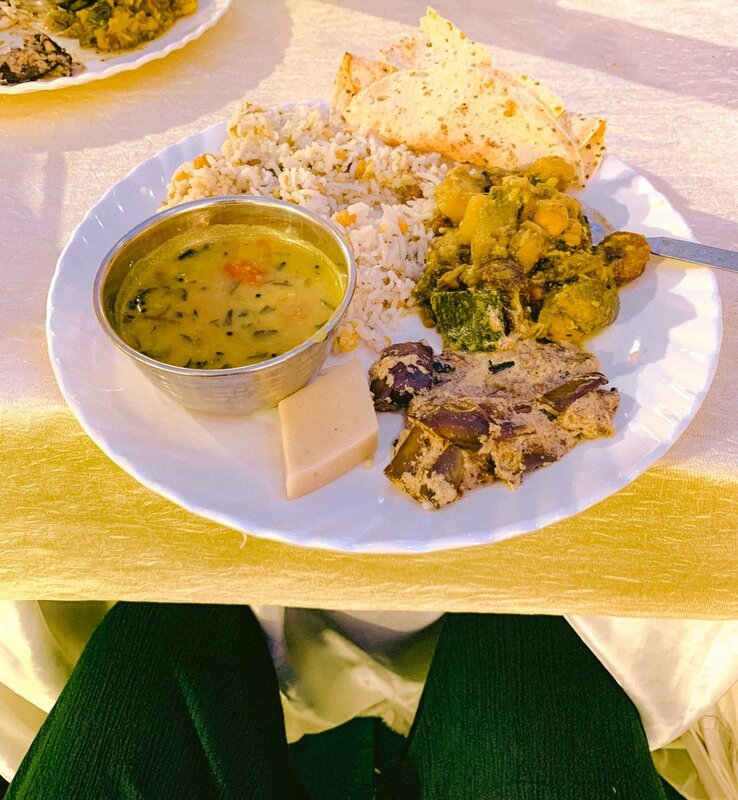 My heart is full with gratitude as I reminisce on my pilgrimage into the Himalayas and all that it has offered me— experiences of joy and abundance, newfound friendships, pleasant connections, and powerful self-realizations. 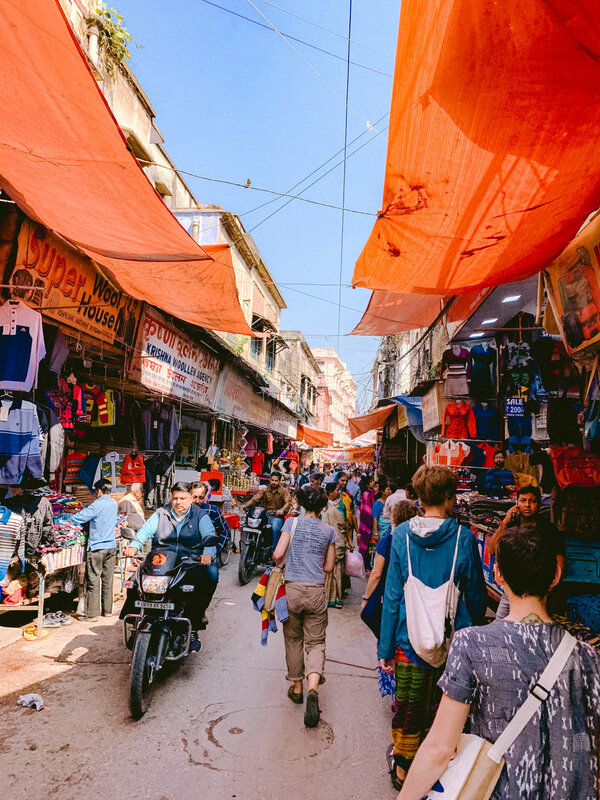 There is something magical about India and I look forward to returning again soon. 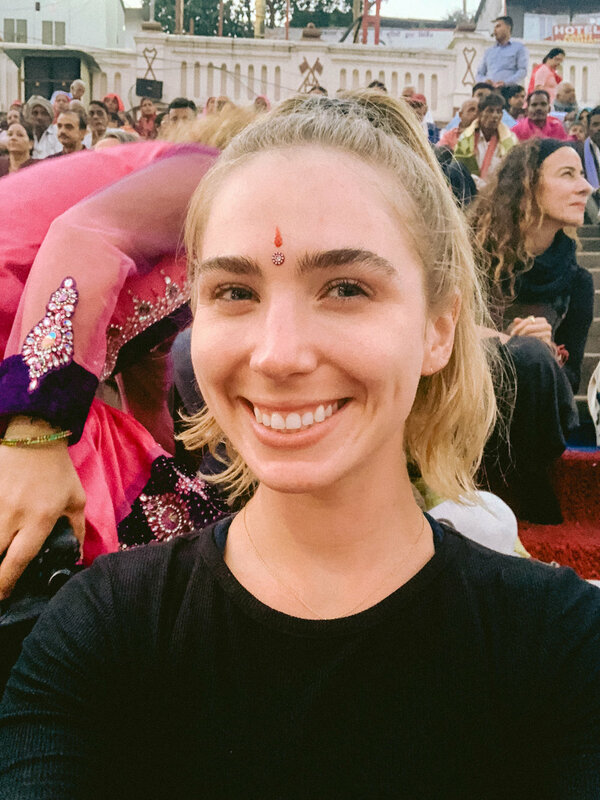 The first time I traveled to India was in February 2016. 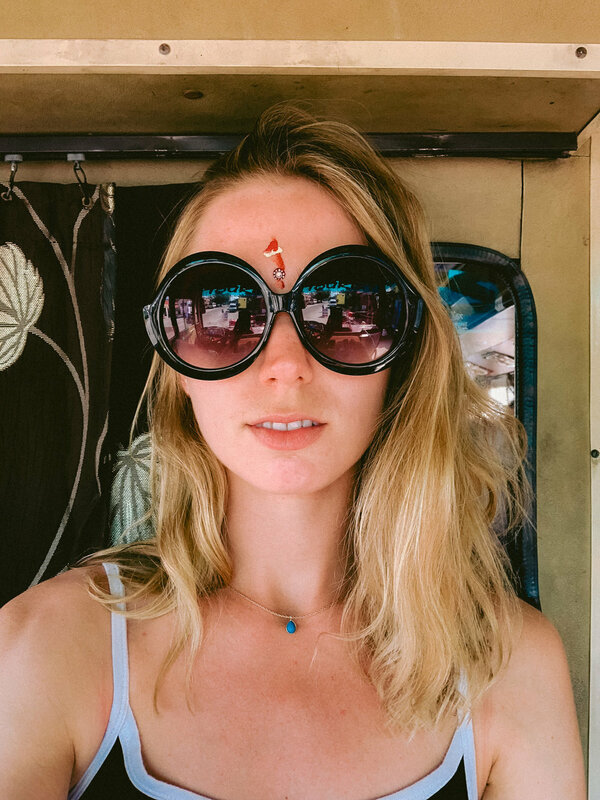 I spent a month in Goa and completed my 200-hour teacher training in Ashtanga-Vinyasa yoga at Sampoorna Yoga. 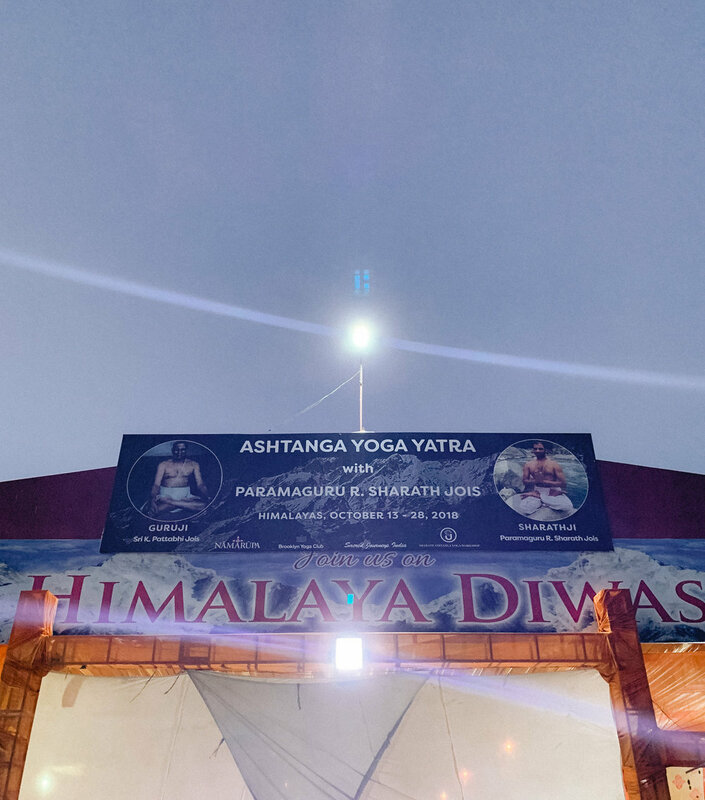 It was during this trip that I was first introduced to Ashtanga yoga. For the past 3 years I’ve dedicated myself to the Ashtanga practice and I intend to keep with it for as long as I can. Today, I practice in San Francisco with teacher Magnolia Zuniga and her program Mysore SF. 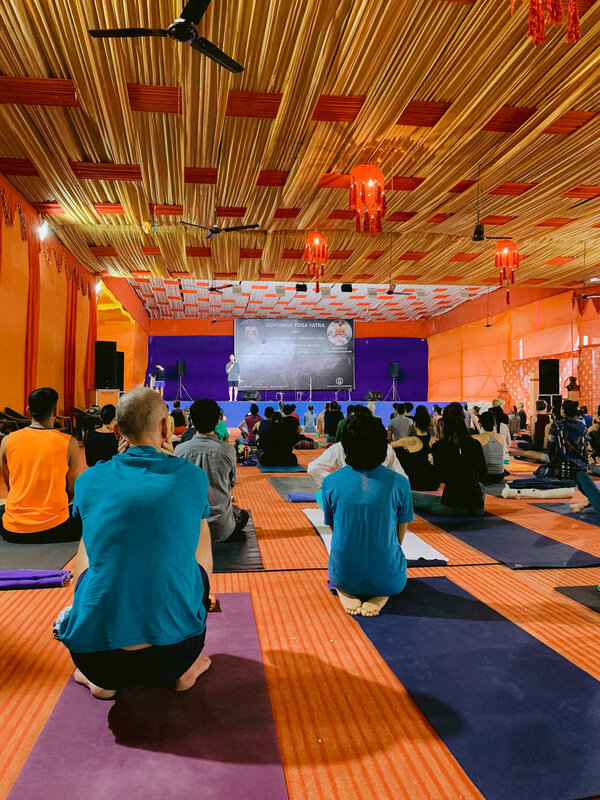 For those who may not be familiar with Ashtanga yoga— Sharath Jois is a teacher, practitioner and the lineage holder of Ashtanga Yoga, in the tradition of K. Pattabhi Jois (his grandfather). Sharath is the director of the Shri K. Pattabhi Jois Ashtanga Yoga Institute in Mysore, India. I hope to travel to Mysore one day and practice with Sharath at KPJAYI. Our Yatra was organized by Namarupa and they coordinate a number of yatras throughout the year all over India. 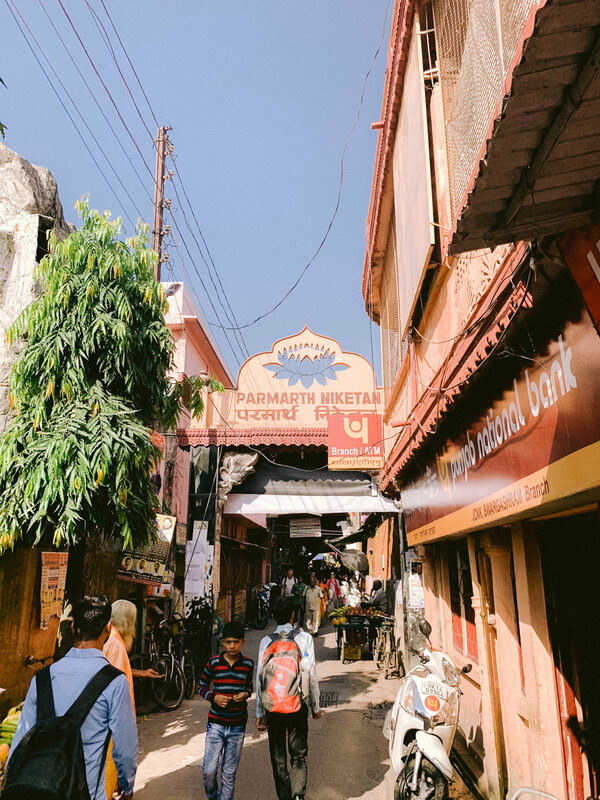 I highly recommend checking out their offerings for anyone who might be interested in taking a spiritual journey and exploring India. Thank you to Amy Smith for creating this beautiful map to illustrate our journey. Amy and I practice together at Mysore SF. 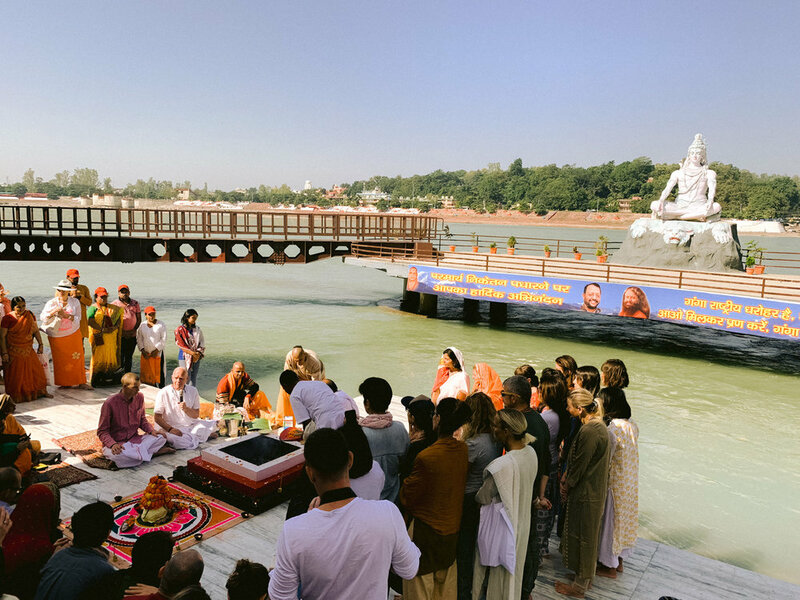 She has a lovely collection of photos from the yatra that are available for you to view here. 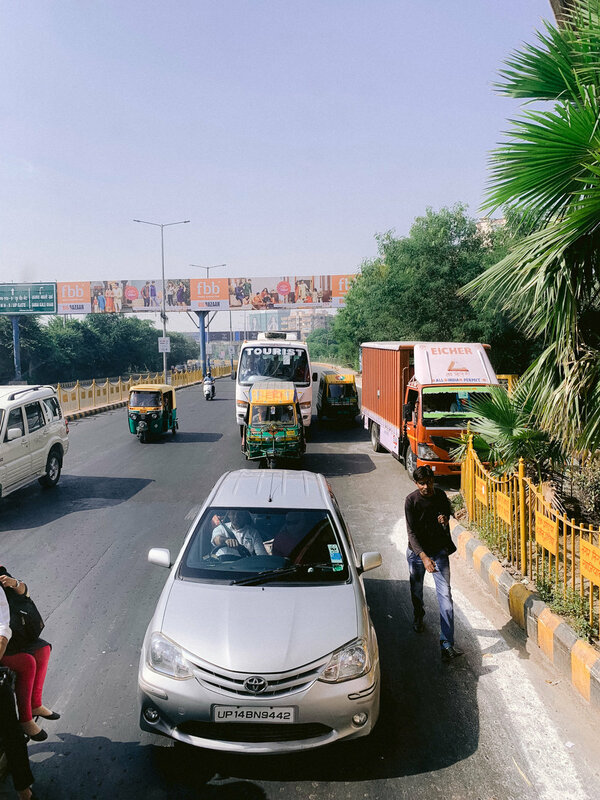 I arrived in New Delhi on October 13th. Upon arrival, I was pleased to meet my sweet roommate Jasna from Serbia. 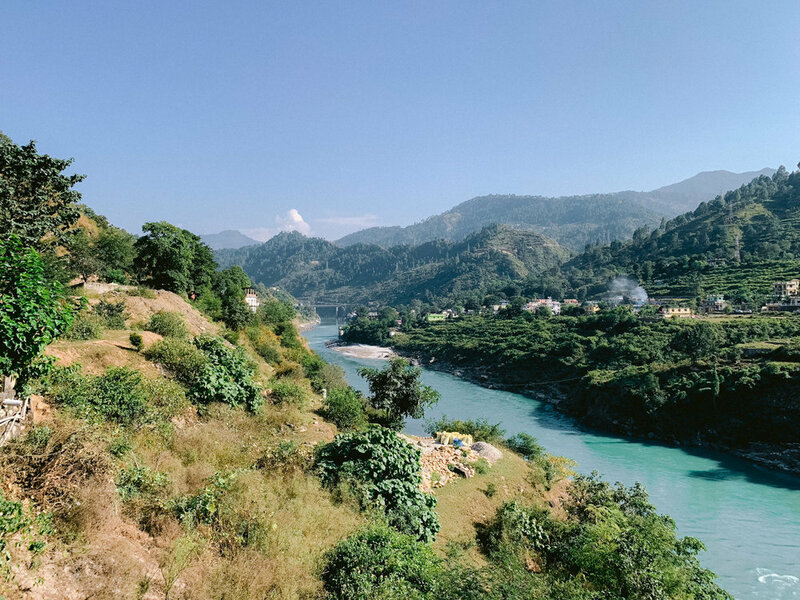 The next morning, we departed New Delhi around 10 AM and began our journey to Rishikesh. The bus ride was a long and bumpy but we stopped for lunch at a delicious cafe on the way. 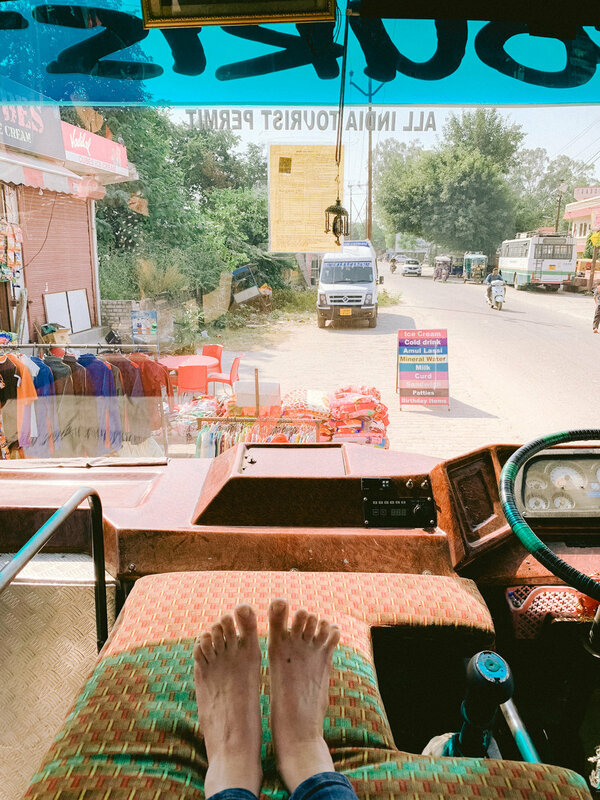 BUS TRAVELS | NEW DELHI, DELHI & HARIDWAR, UTTARAKHAND, INDIA. 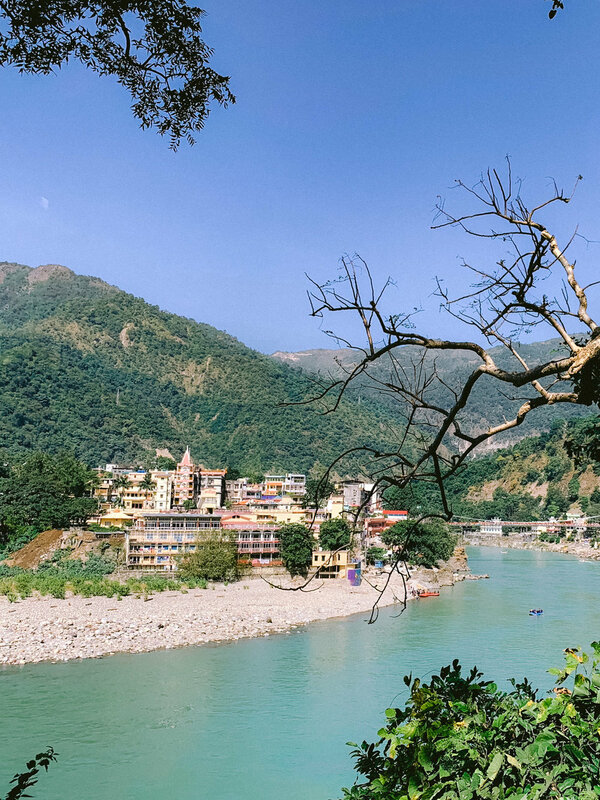 In Rishikesh we stayed at Parmarth Niketan Ashram, situated along the banks of the sacred Ganga river. 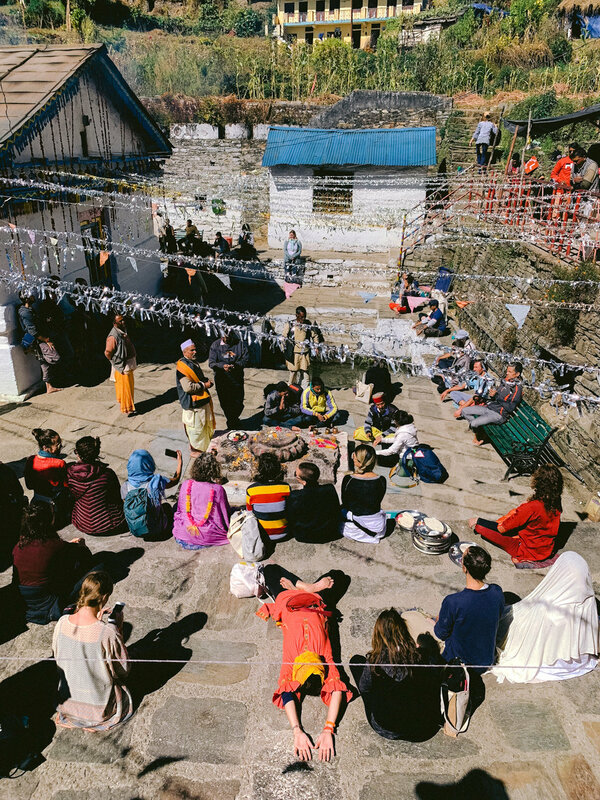 Each year, thousands of pilgrims travel to Parmarth to immerse themselves in its sacred atmosphere. 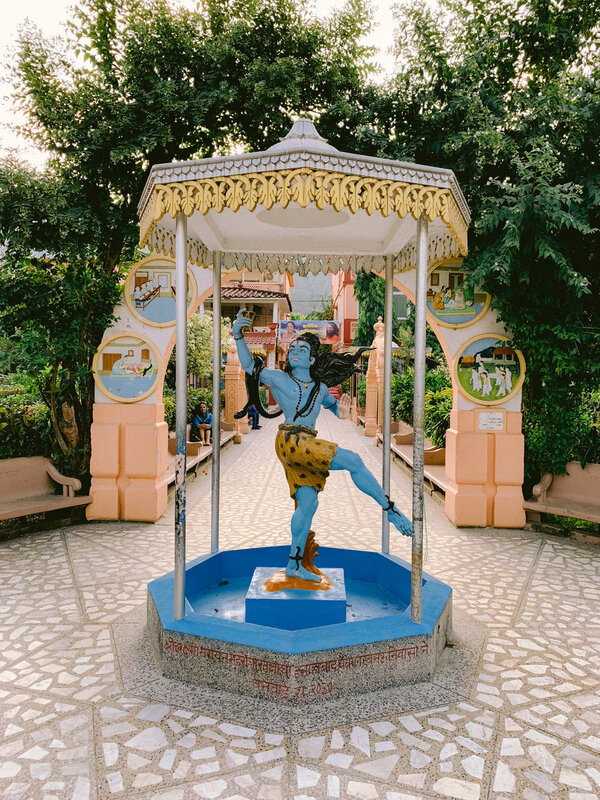 Lush gardens and abundant murtis (images or statues) depicting Hindu deities create an environment that is serene, meditative and captivating. 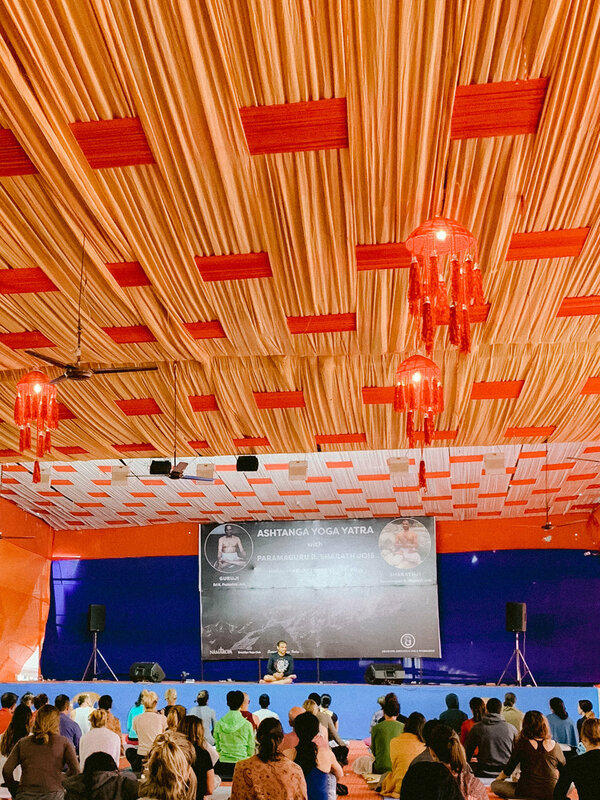 Sharath Jois led Primary Series classes for the six days we stayed at the ashram. 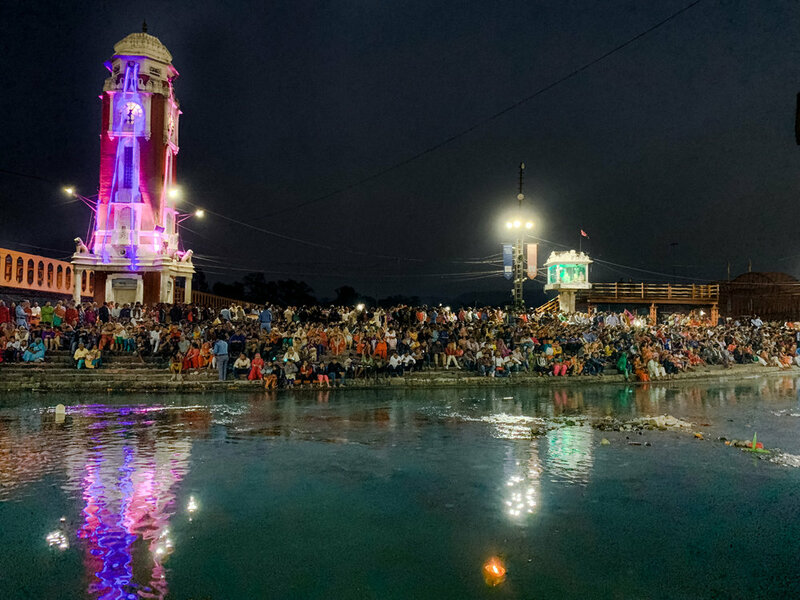 Each evening, we attended the sacred Ganga Aarti. An Aarti is a Hindu ritual of worship, in which light (usually from a flame) is offered to the deities. Each evening following aarti, we gathered for kirtan. Kirtan is call & response devotional singing that aims to glorify the Hindu deity Krishna. 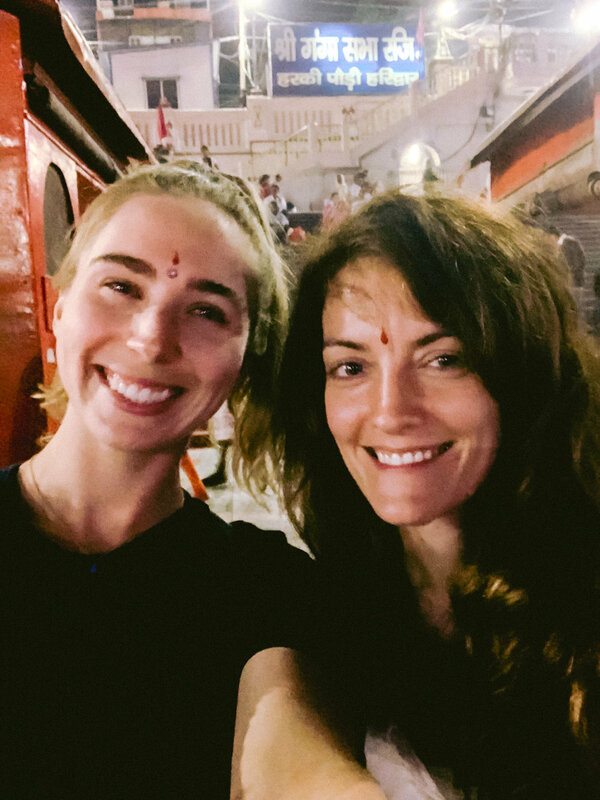 Aarti and kirtan were always warm, energizing, and uplifting gatherings. 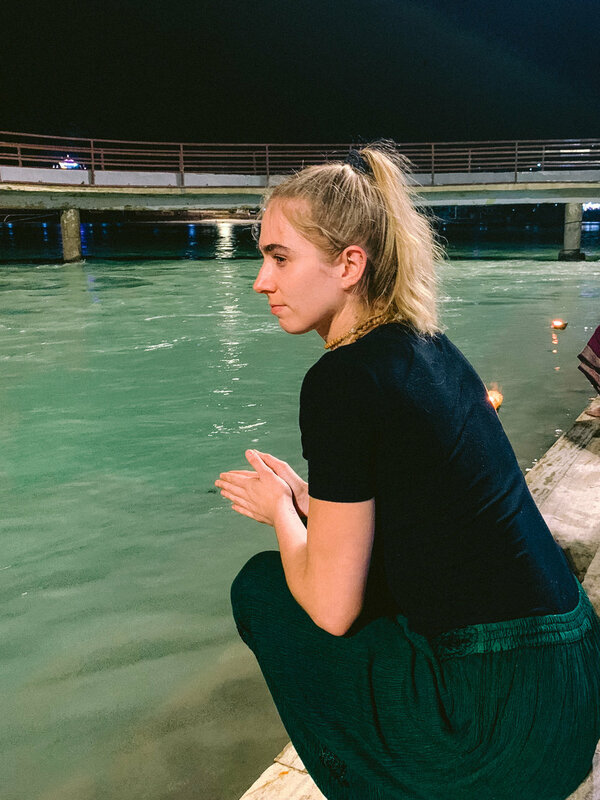 Before departing Parmarth, we went for our first snaan (holy dip) in the Ganga. 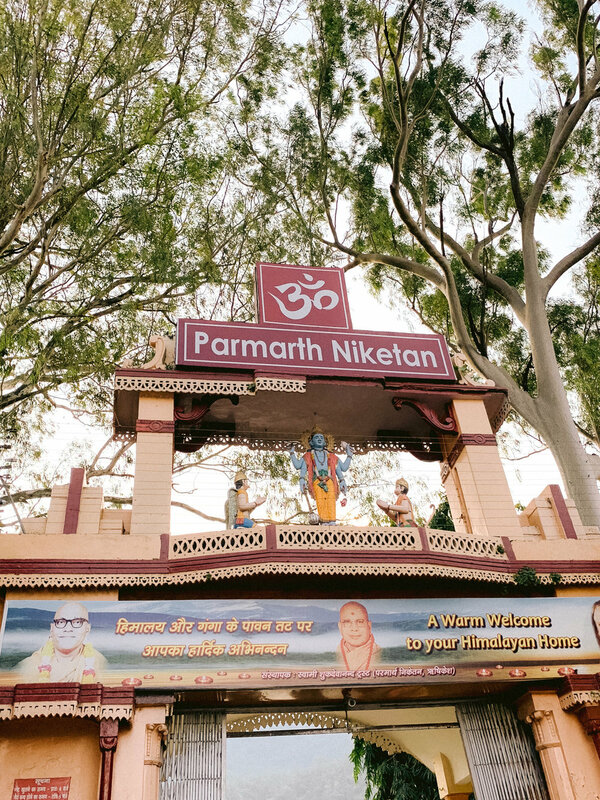 PARMARTH NIKETAN ASHRAM | RISHIKESH, UTTARAKHAND, INDIA. 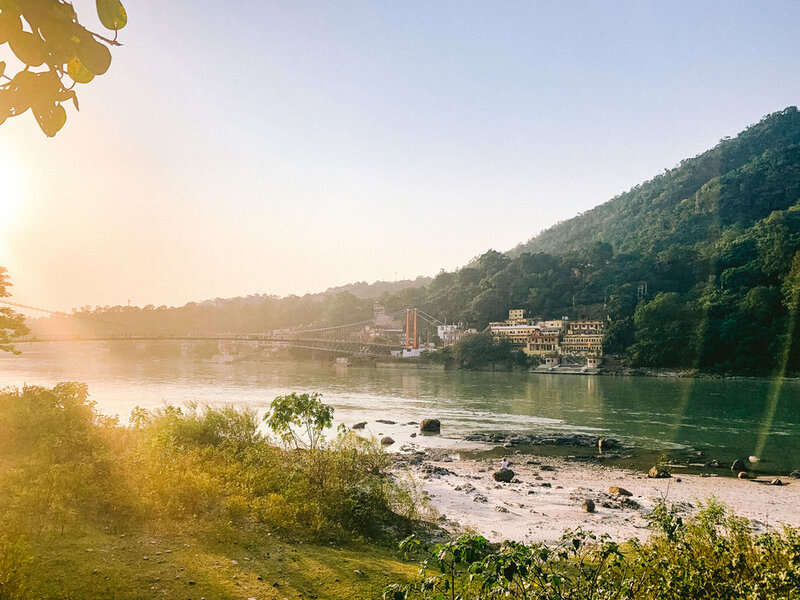 MORNING PRACTICE & SATSANG | RISHIKESH, UTTARAKHAND, INDIA. 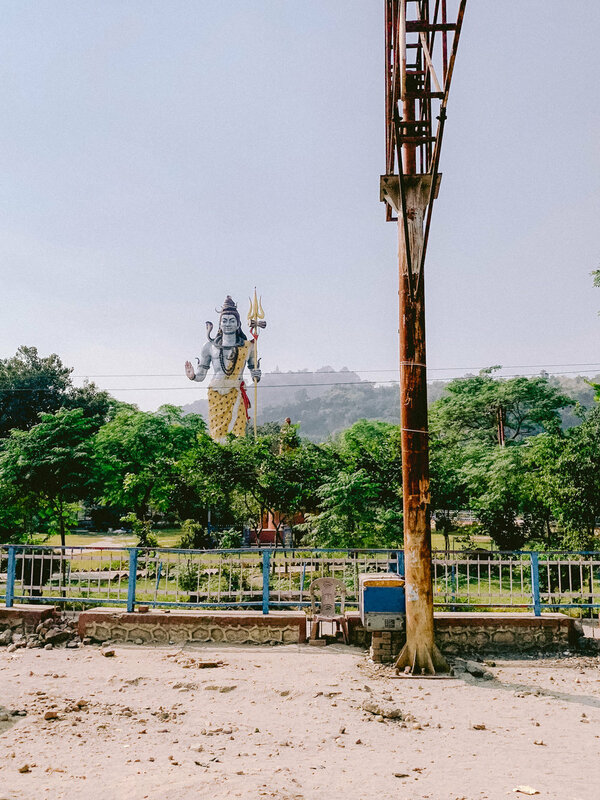 GANESHA HOMA CEREMONY TO COMMENCE YATRA | RISHIKESH, UTTARAKHAND, INDIA. 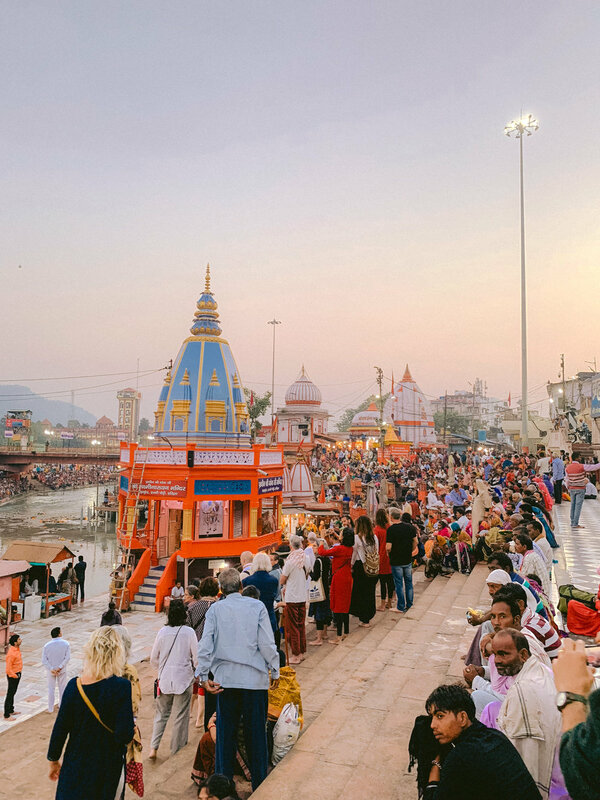 GANGA AARTI | RISHIKESH, UTTARAKHAND, INDIA. 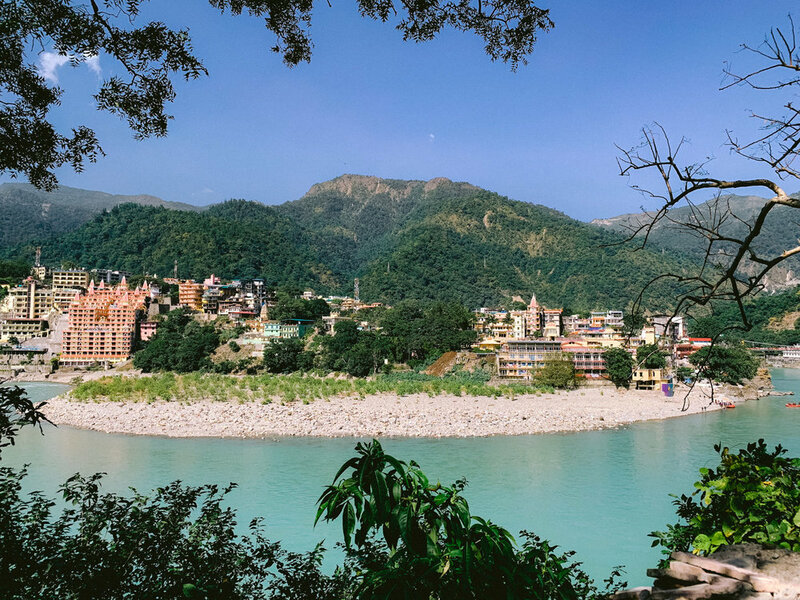 EXPLORING | RISHIKESH, UTTARAKHAND, INDIA. 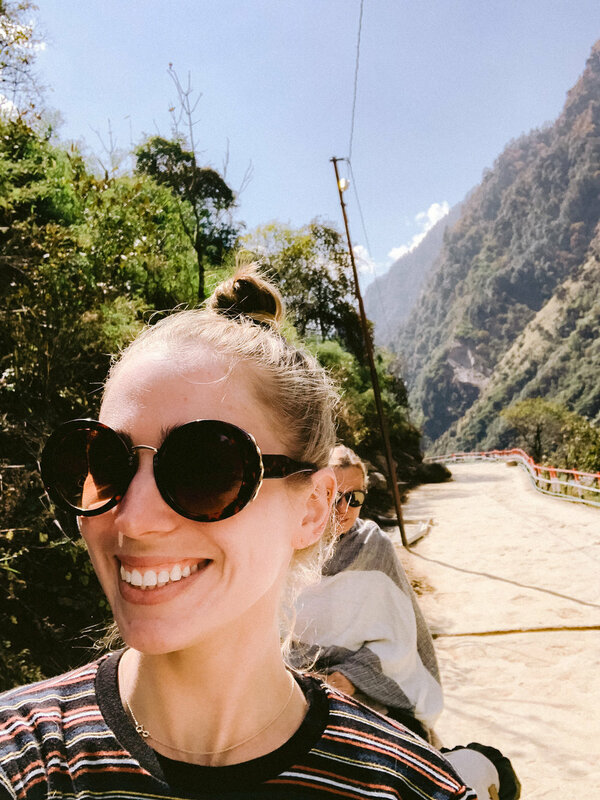 Following the six days at Parmarth, we began our journey up into the Himalayas. Bus rides were filled with ginger chews to combat motion sickness, occasional group chanting, and bonding with new friends. The roads we traveled were winding, narrow, bumpy and dusty. 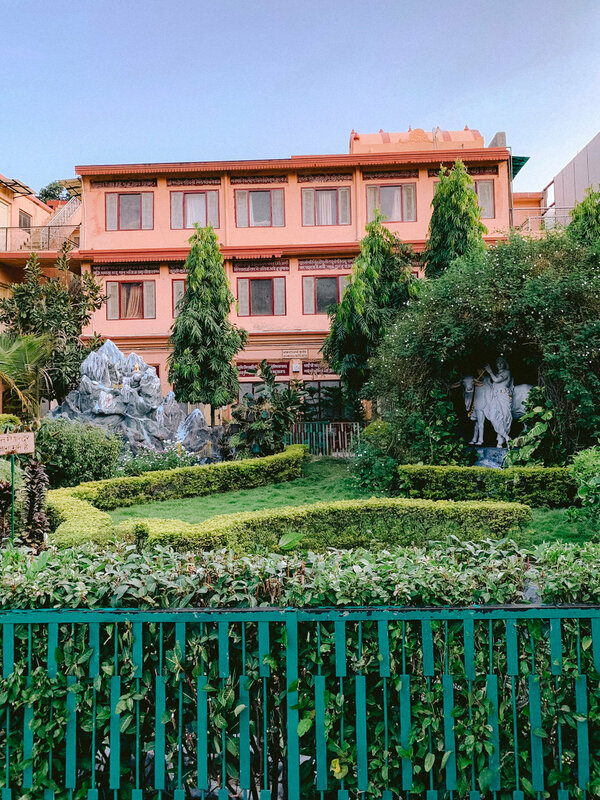 We stopped for lunch and chai at a local resort before reaching our next destination— the Chardham Camp in Guptakashi. 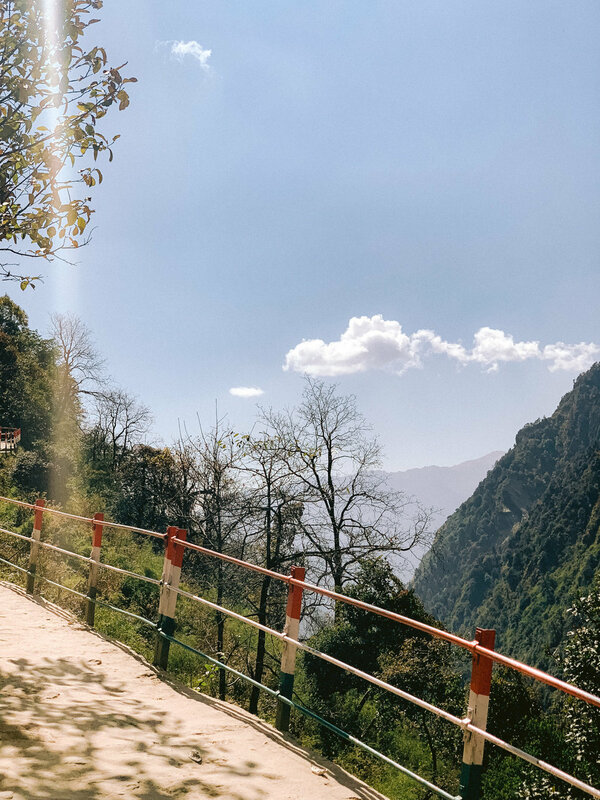 TRAVELING TO GUPTAKASHI | GARHWAL HIMALAYAS, UTTARAKHAND, INDIA. To reach Kedarnath we had the option to either take a short helicopter ride, hike uphill for 18 kilometers, or ride a sturdy mountain pony. I originally chose to hike, but started to feel sick just a few kilometers in. I hired a mountain pony to assist me up the mountain and carried on. The pony was great at first (see photos below), but my sickness returned with a vengeance as we ascended towards the peak. As we approached Kedarnath, the temperature dropped rapidly and snow began to fall. To make matters worse, I didn’t have proper clothing to keep warm. Going back down the mountain wasn’t an option at that point, so I started chanting softly to myself to get me through the last few kilometers of the trek. The sweet pony driver and my dear friend Natasha cared for me while I was ill on the climb up and helped me warm my hands and feet, which were numb for hours. They took me to the first aid tent for oxygen and ensured I made it to the peak safely. Once I reached Kedarnath, I was taken to a room to rest while the others attended the evening aarti at the Kedarnath temple. While ill and shivering in a frigid room, I did what any normal sick person would do— took a photo to document the moment! Yes, I’m serious (photo below). Later that night, my friends came to check in on me. My stomach pain was bad and I couldn’t sleep. I eventually ended up at the Kedarnath “emergency room” to see a doctor and receive treatment for my stomach pain. My sweet friends Samuel and Samaneh stayed by my side at the doctor and ensured me that I would be ok. After a few mystery shots in my arm, I was escorted to a new room to rest for the night with my friend Samaneh. 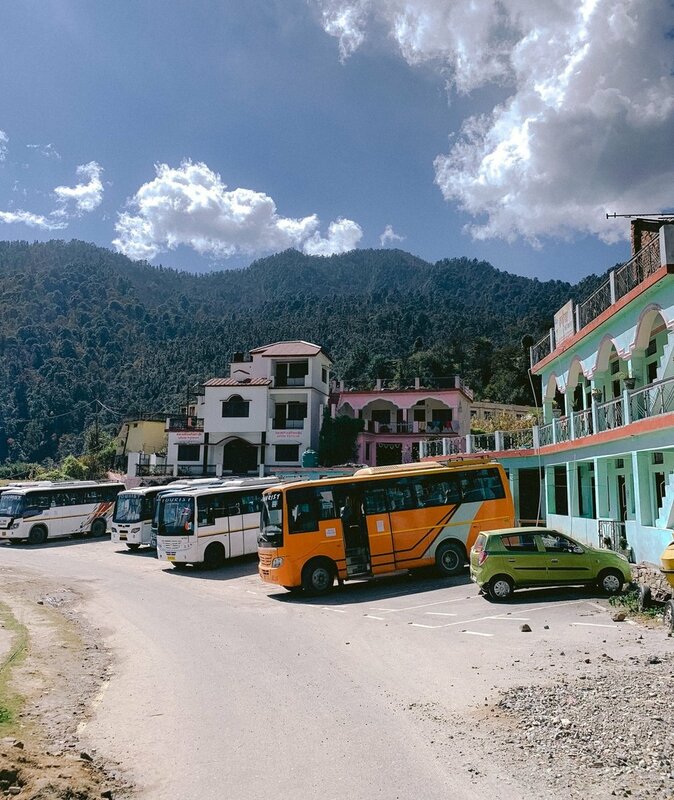 PILGRIMAGE TO KEDARNATH | RUDRAPRAYAG, UTTARAKHAND, INDIA. The next morning, I felt tired and weak but most of my pain was gone. It was time to head back down the mountain to Guptakashi. 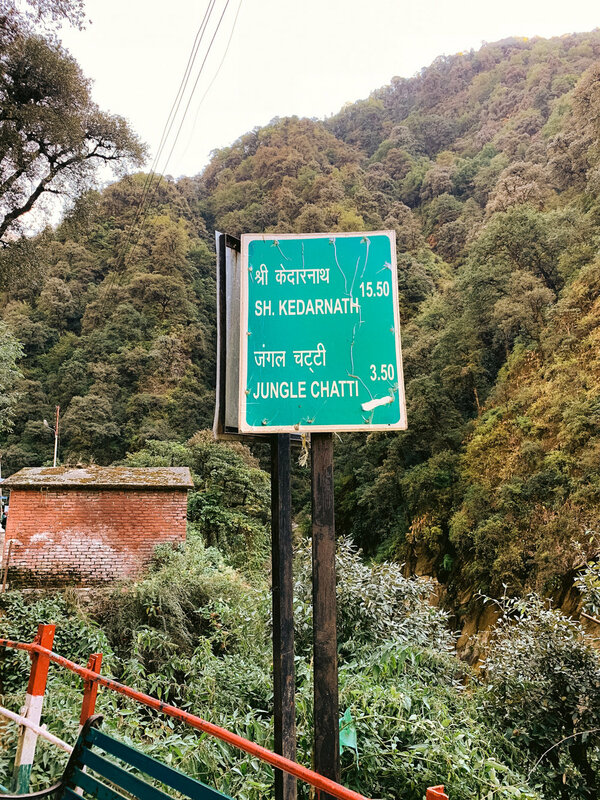 Before heading down, I decided to make my way to see the Kedarnath temple—after all, I came all this way! Kedarnath is a powerful place— melancholy, desolate, beautiful and breathtaking all at once. I was able to go into the temple, where one is permitted to bathe the large Lingam in the shape of the hump of Shiva’s bull, Nandi. After a quick temple visit, I took a helicopter down the mountain to our camp in Guptakashi. I cried tears of joy upon return to my tent. Hot water. Warm bed. I was no longer feeling ill and my heart was full with gratitude. Some suggested that the intensity of what I experienced at Kedarnath was the power of Shiva in full force. Some proposed that what I experienced was in some way a purge or release of something negative from within. Whatever it was it was, it was frightening, painful and one of the most uncomfortable nights of my life— I felt lucky to be alive! 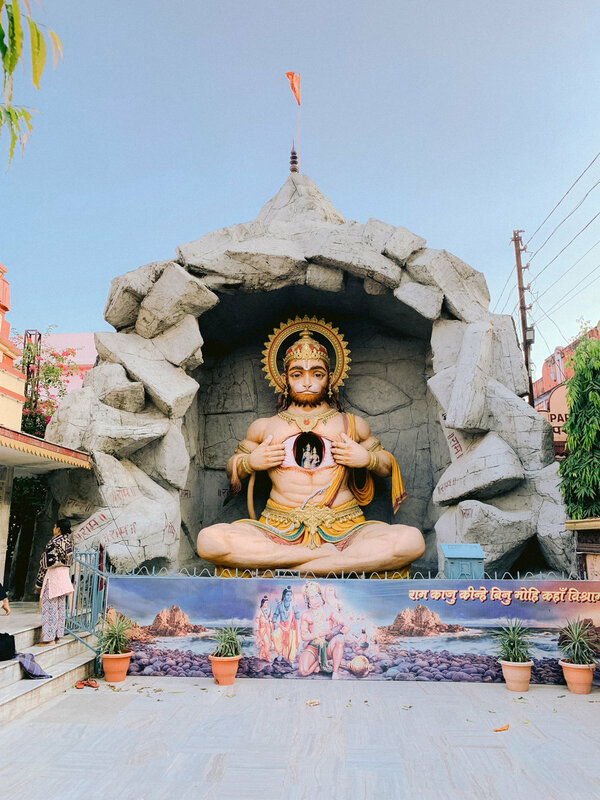 OM NAMAH SHIVAYA! KEDARNATH TEMPLE | KEDARNATH, INDIA. This was my 28th birthday! I spent the day doing self-care: reading, practicing, drinking chai, and relaxing in my tent. Later that evening, we went for darshan at Guptakashi Temple. 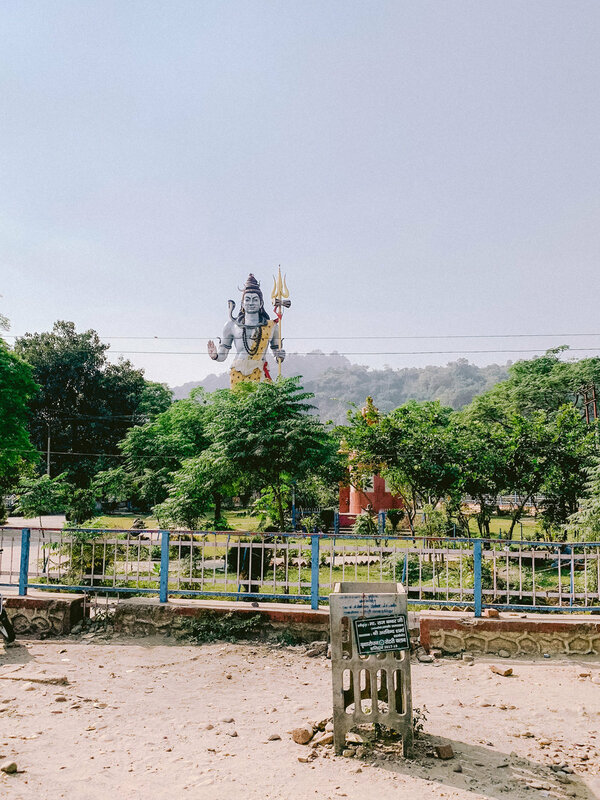 Legend has it that this is where Shiva hid from the Pandavas who were trying to find him to seek forgiveness for their sins committed during the Mahabharata war. 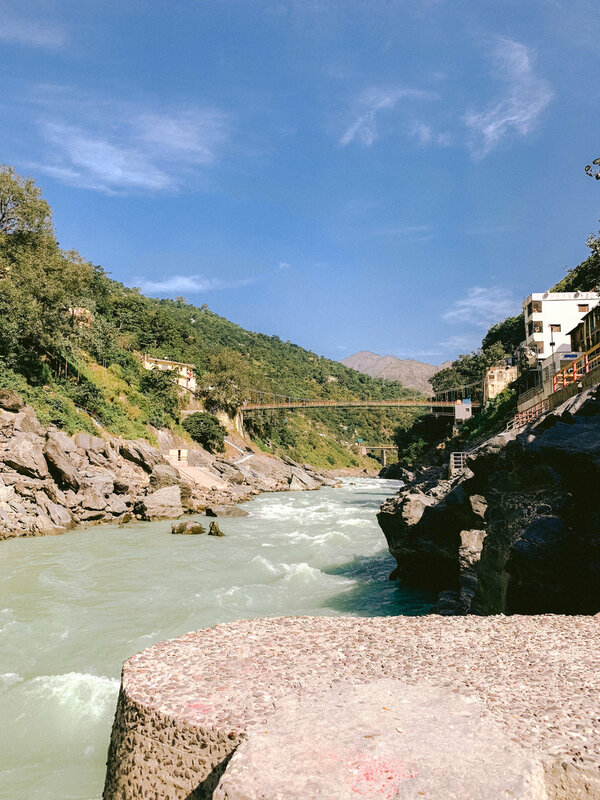 CHARDHAM CAMPS & GUPTAKASHI TEMPLE | RUDRAPRAYAG, UTTARAKHAND, INDIA. 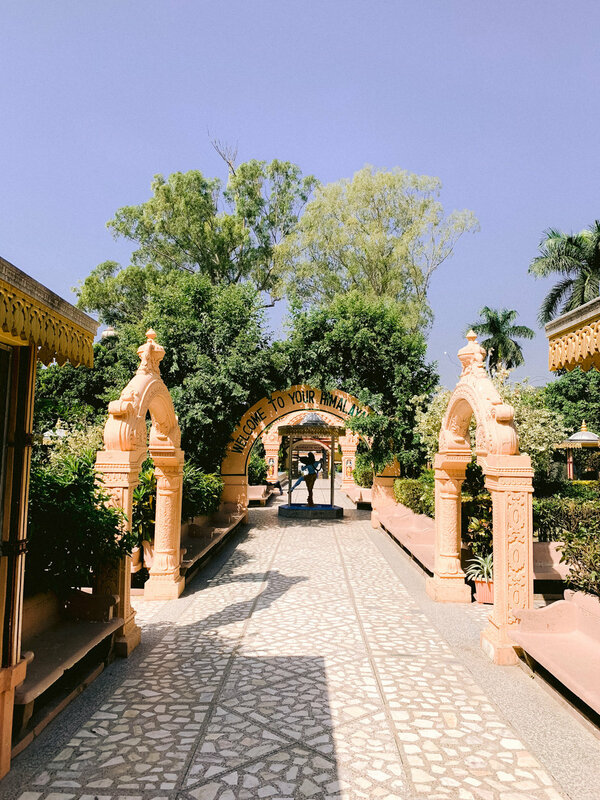 After Guptakashi, our next stop was Triyugi Narayan Temple— where Siva and Parvati were married and Lord Vishnu was the best man. 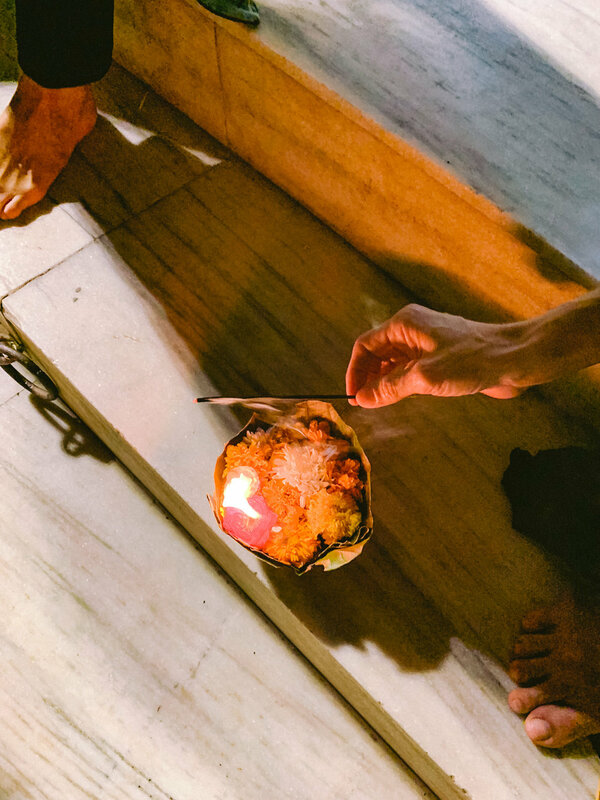 A homa (ritual) fire has been burning in the temple since the Treta Yuga. I offered a branch into the homa fire as a blessing for family and friends. After another long day on the bus, we made our way to Srinagar for the night. 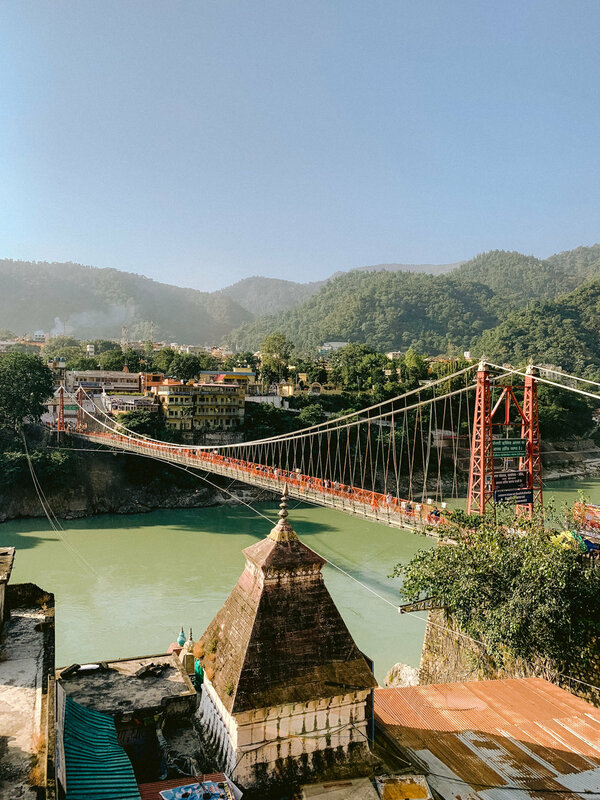 TRIYUGI NARAYAN TEMPLE | RUDRAPRAYAG, UTTARAKHAND, INDIA. 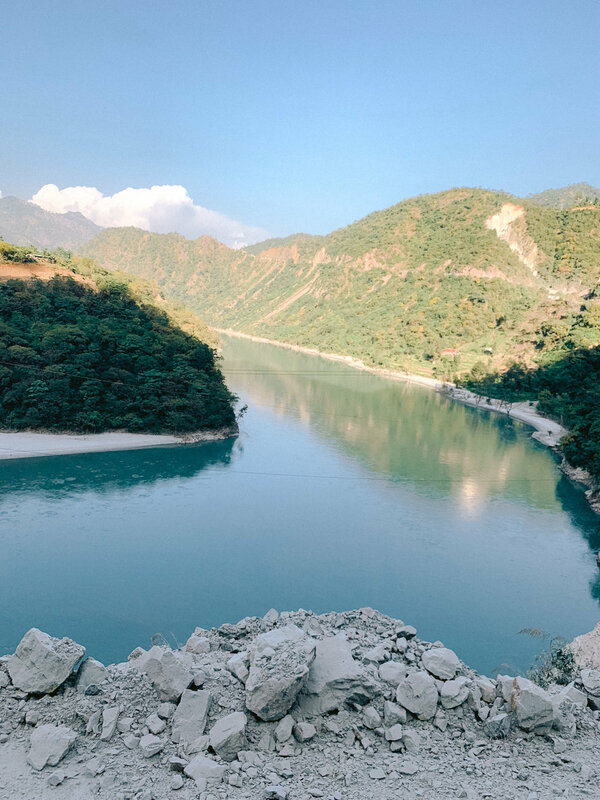 On our way from Srinagar to Haridwar, we stopped at Devprayag, the confluence of the Bhagirathi and Alaknanda rivers. We took a snaan (holy dip) in the rushing river water. The water was moving rapidly and schools of fish were crowding around the entrance to the rivers. Some were hesitant to enter the water at first, but everyone in our group was incredibly supportive and encouraging of one another. I had 3 women holding on to me as I dipped under the rushing river water 3 times. 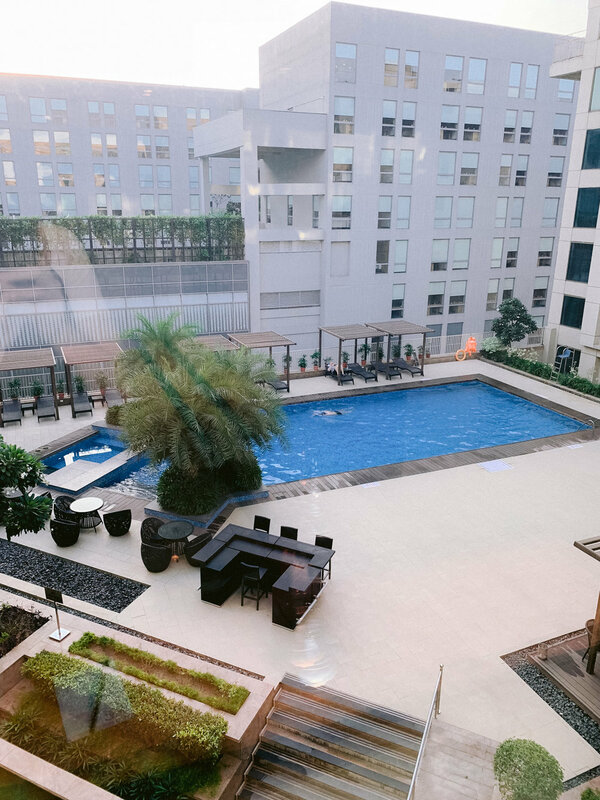 It was incredibly invigorating and purifying! 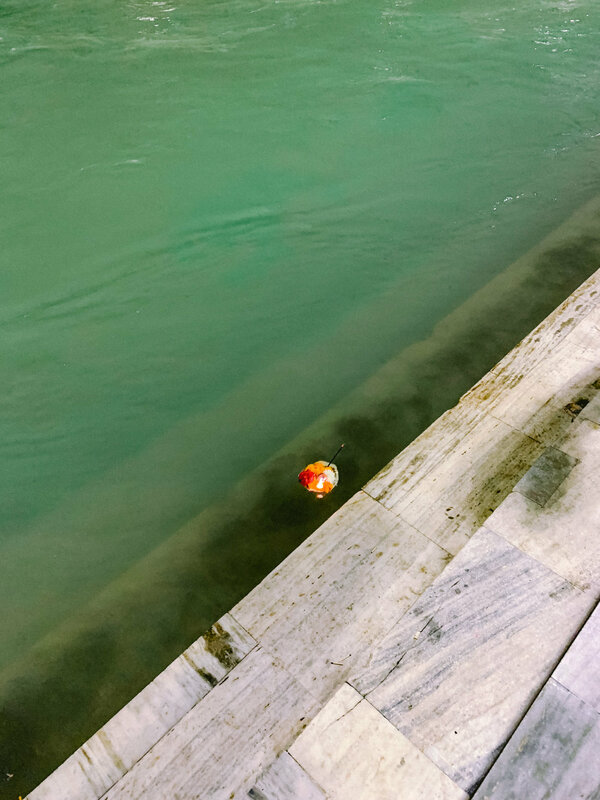 HOLY DIP | DEVPRAYAG, UTTARAKHAND, INDIA. 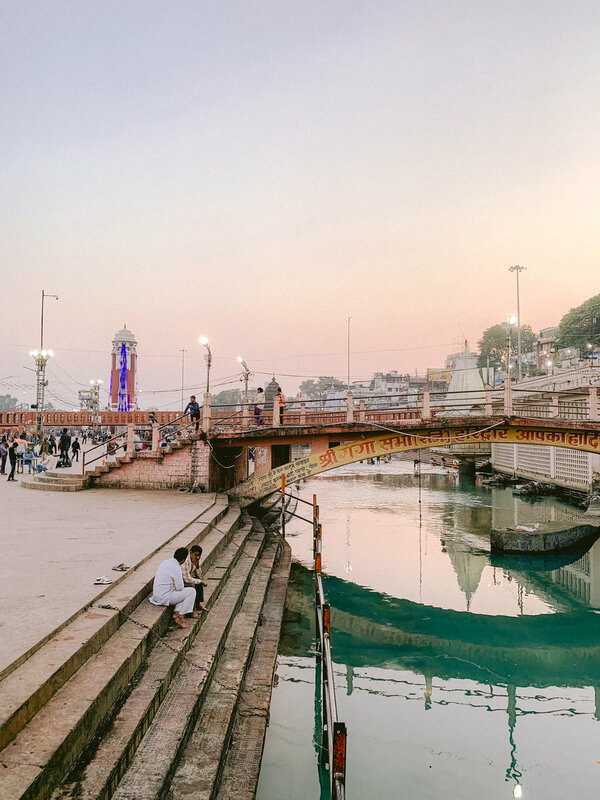 Our last stop on yatra was Haridwar. 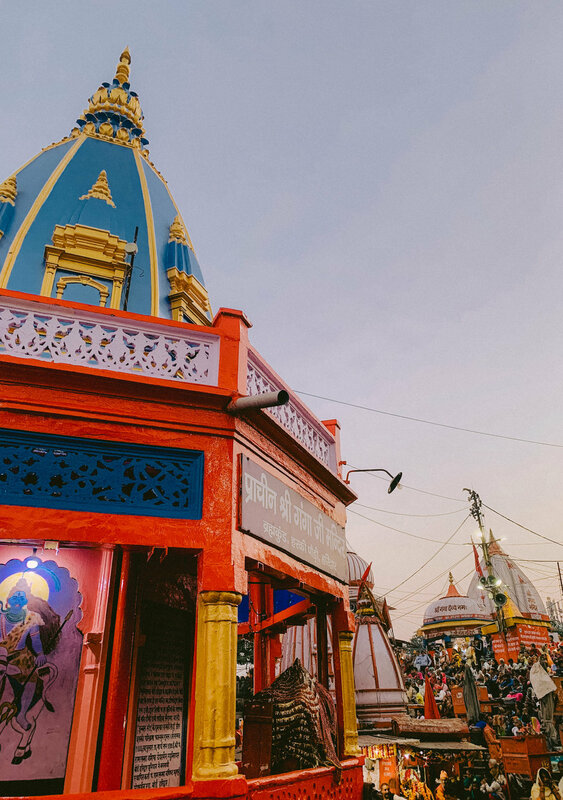 We spent two days exploring temples, shopping the bazaar, and attending the famous Ganga aarti at Har-ki-pauri. 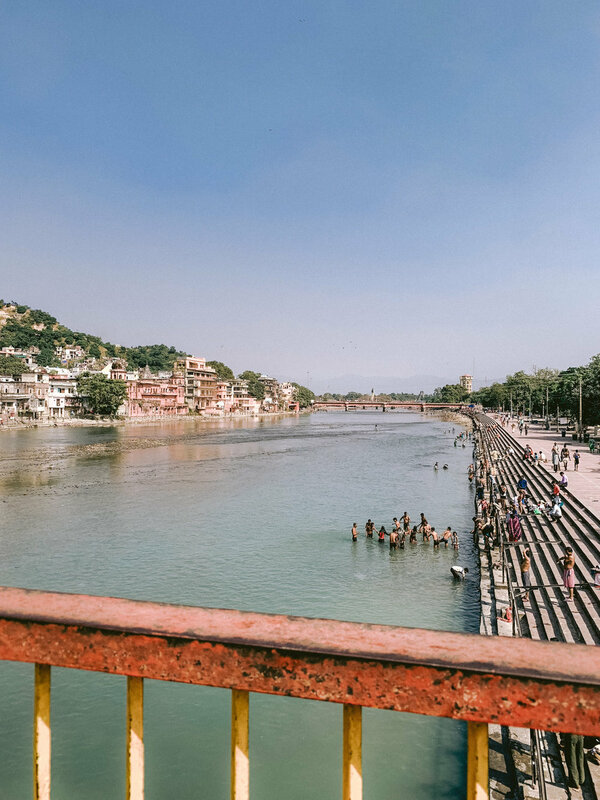 At Har-ki-pauri we gathered together one last time for a final Ganga dip and chanting. It was hard to say goodbye to all of the incredible people that I met along this journey, but I remain hopeful that our paths will cross again soon. 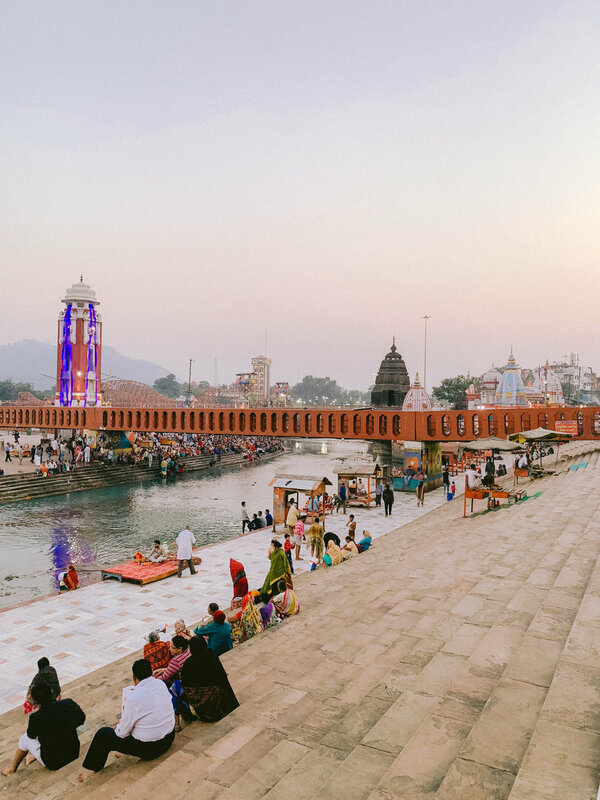 EXPLORING & TEMPLES | HARIDWAR, UTTARAKHAND, INDIA. 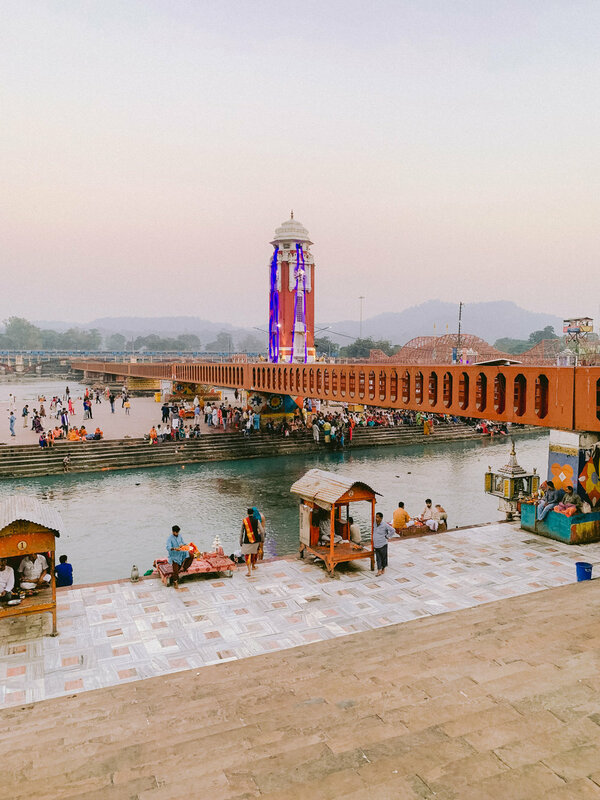 GANGA AARTI AT HAR KI PAURI | HARIDWAR, UTTARAKHAND, INDIA. 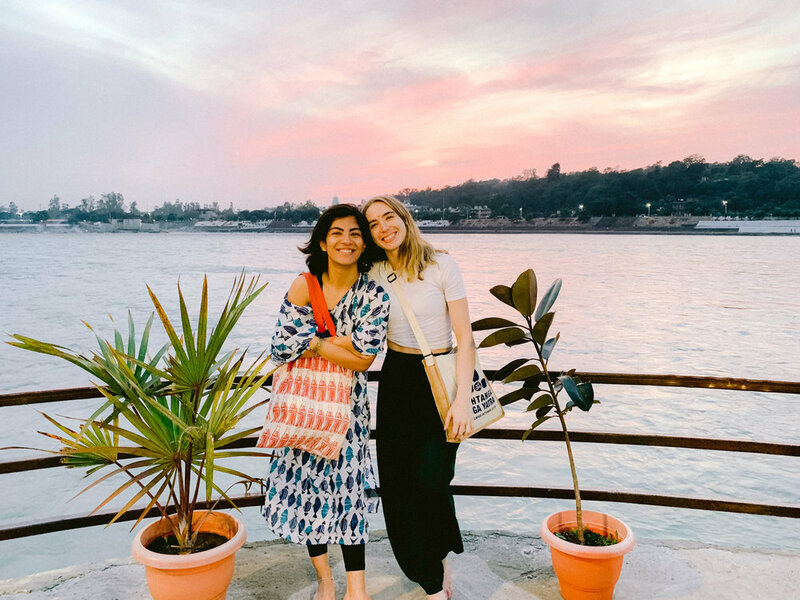 A simpler way of life in India allowed me to be more present with myself and my emotions. Quieter moments create space for us to notice more and get to know ourselves a little better. In a technology-driven and perpetually busy society it can be so easy to numb out and disconnect from ourselves, which I suspect often happens on a subconscious level. 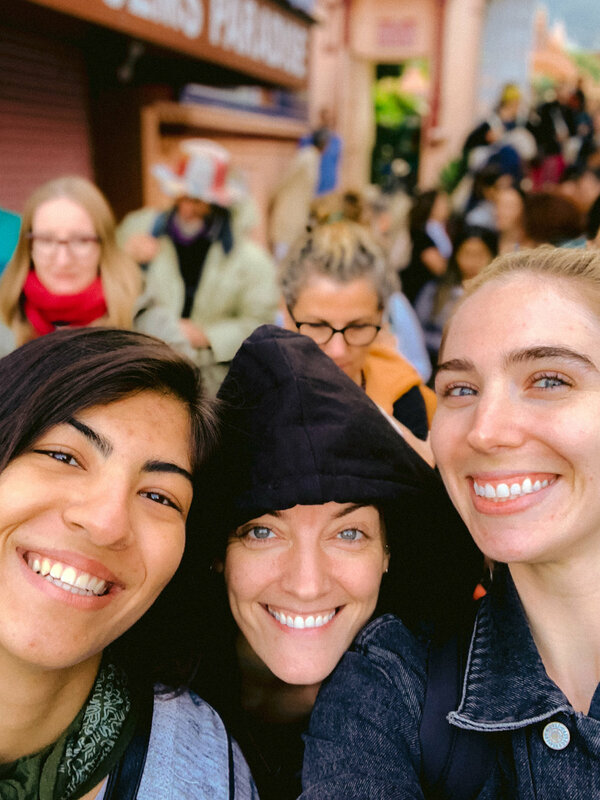 Some of the ways that we can disconnect include— social media, online shopping, television, and constantly jumping from one task to the next. Don’t get me wrong, I think there is absolutely a time and place for all of these things— just maybe not every day or multiple times a day. 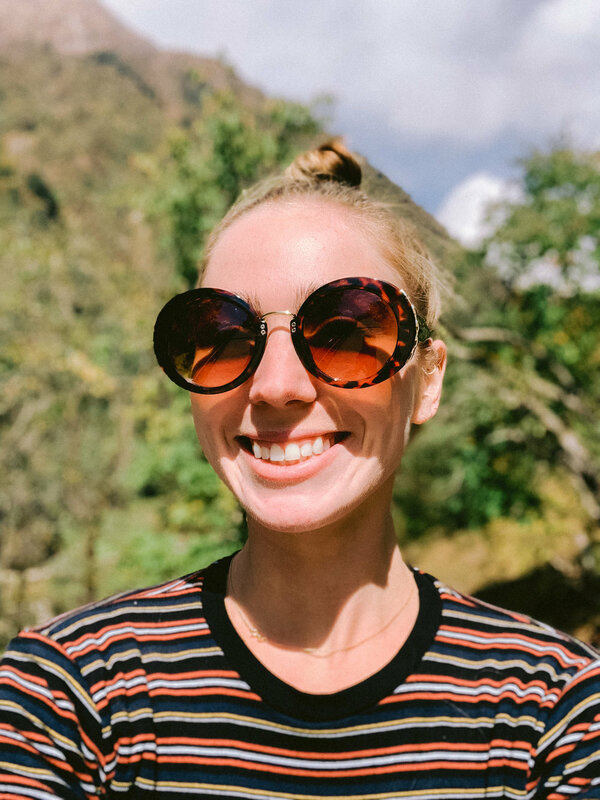 While free from my normal distractions in India, I found that I was actually able to feel more— more love towards myself and others; more gratitude. Of course, I also experienced moments of vulnerability while traveling where I felt uncomfortable or anxious. I tried to remain equanimous and open to each experience by reminding myself of the temporary nature of emotions and how they can arise and dissolve in an instant. It’s humbling to try and embrace both pleasant and unpleasant experiences as a normal and integral part of being human. I believe that if we can learn to remain open and breathe deeply through the unpleasant, we can ultimately utilize these experiences as a catalyst for personal growth and awakening. Moving forward, I hope to be less busy and more present with myself. I hope to use each waking moment as an opportunity to embrace this perfectly imperfect human life with an open mind and an open heart. OM & NAMASTE.